Anything is possible in Japan. Want to sip coffee with a hedgehog? Possible. Want to hire a handsome young man to cry with you? Possible. Want to ride a Super Mario Kart around Tokyo dressed as Winnie the Pooh? I am not making this up. So, the idea of an island built by a billionaire art collector full of polka-dot pumpkins doesn’t really sound out of the question. In 2017 on the advice of many artsy friends, we traveled from Tokyo to Naoshima in the Seto Sea. 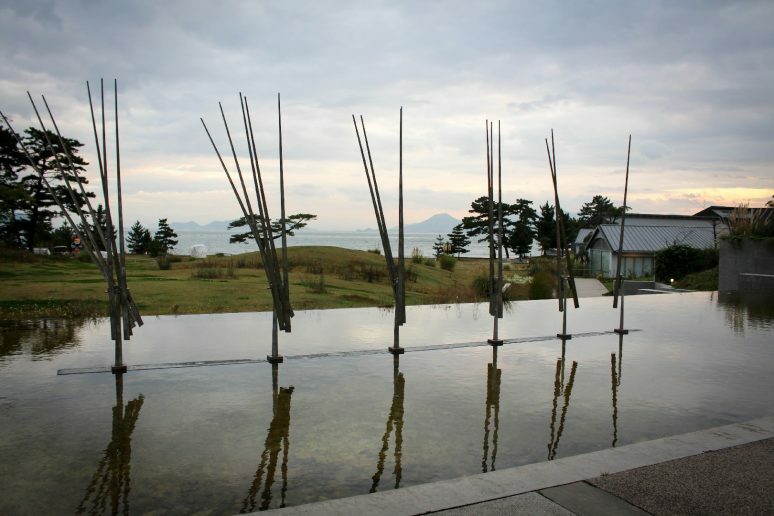 Part of Kagawa prefecture, the island has warm weather and sandy beaches and an astonishing array of art experiences. In the 1980’s Soichiro Fukutake of Bennesse Holdings (the owners of Berlitz language schools) bought a huge section of Naoshima island to construct a museum to show off his international art collection. He hired esteemed architect Tadao Ando to design a place called Bennesse House which opened in 1992 and the Chichu Art Museum in 2004. 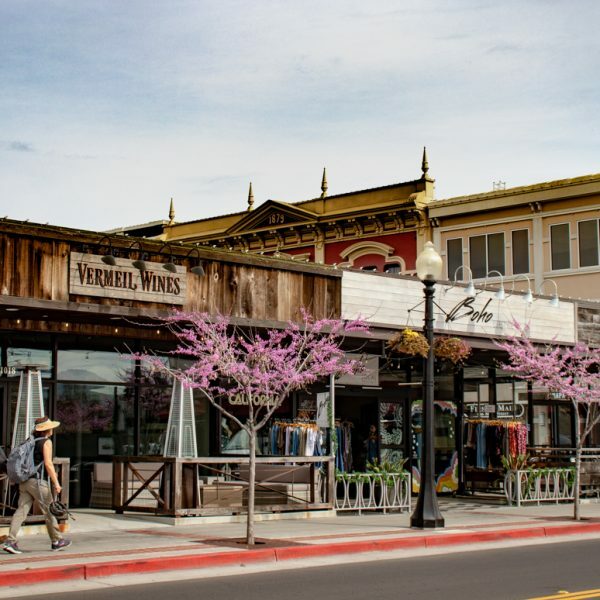 The rest of the island followed suit by embracing the arts as its new brand. 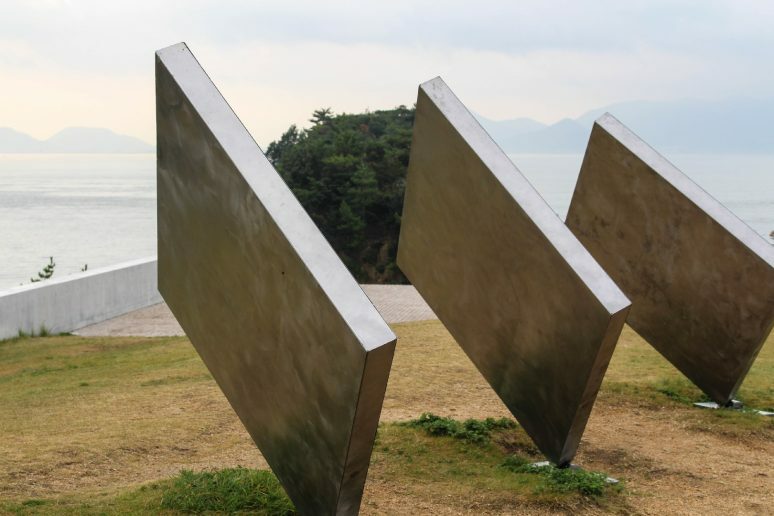 Naoshima and its neighboring islands are now home to the Setouchi Art Triennale which has helped to revitalize the region’s economy. 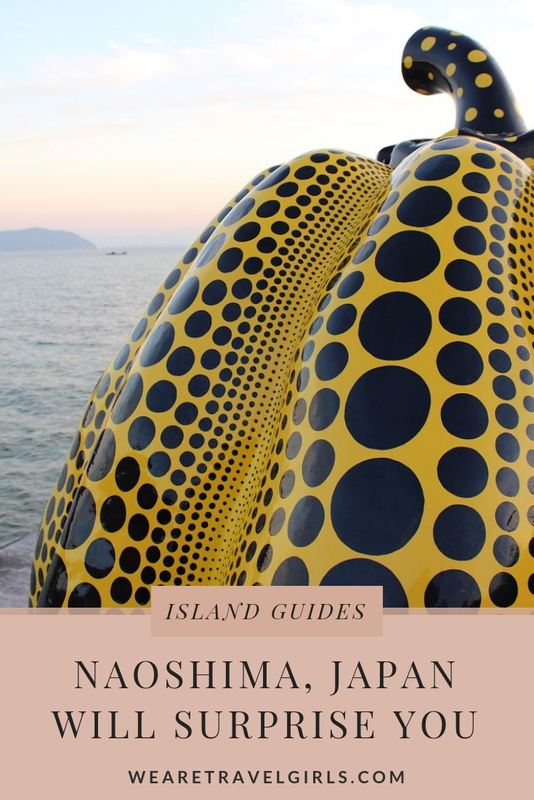 If you are heading straight for Naoshima, it might be best to fly direct to Hiroshima or Kyoto and take the bullet train to Okayama. We took the bullet train (Shinkansen) from Tokyo – about 4 hours – but it was heavenly. 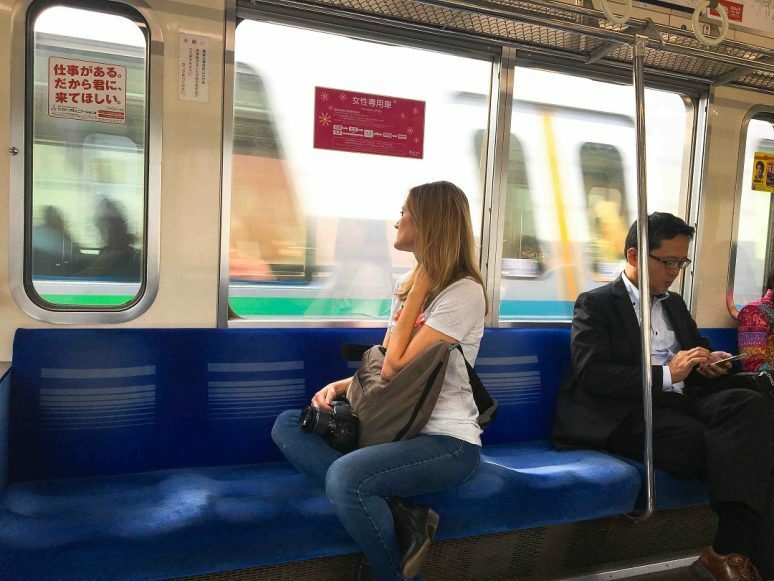 The small details in Japanese rail, like the adjustable footrests, plentiful seat pockets, bento box lunches, spotless platforms, and of course, the punctuality, feel like star treatment. From Okayama station, you can take a local train to Uno Port and then a ferry to Naoshima (just be aware that weekend schedules are less frequent). Japan Wonder Travel has an excellent guide to getting there. The first thing you notice when approaching the island are the polka-dots! 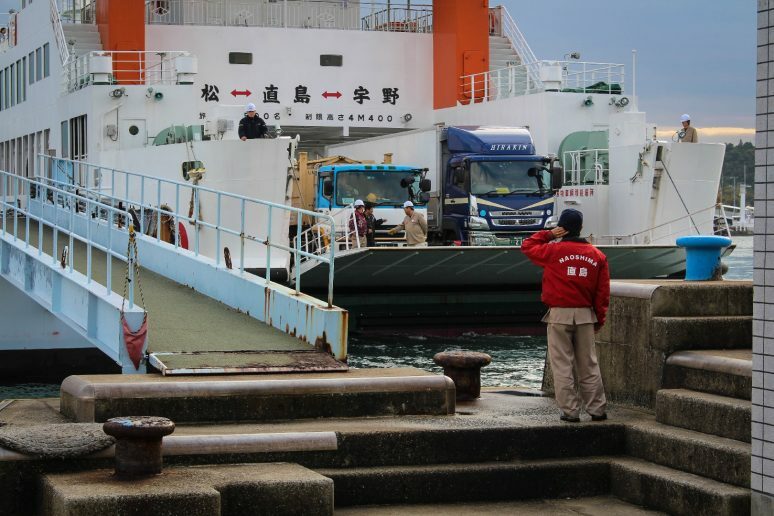 Even the ferry is color-coordinated with Naoshima’s famous gourds – Yayoi Kusama’s red dotted pumpkin, which welcomes you to Miyanoura Port. 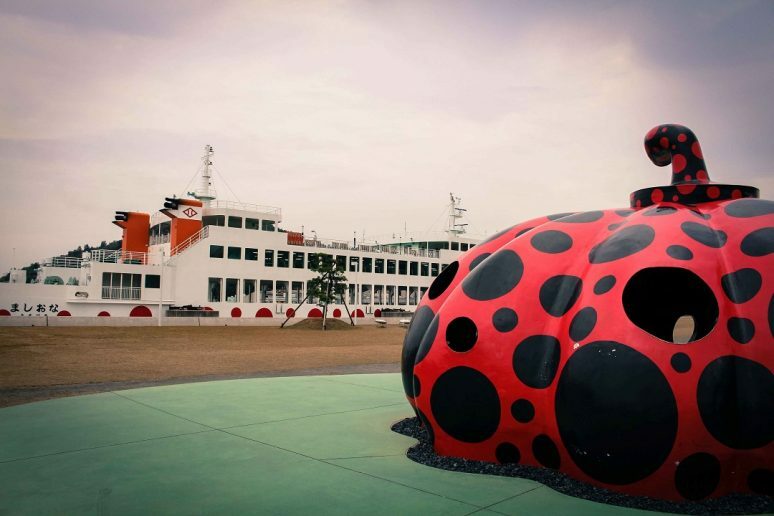 An avant-garde sculptor from Nagano prefecture, Kusama’s fame has skyrocketed in recent years due to many museum retrospectives around the world. 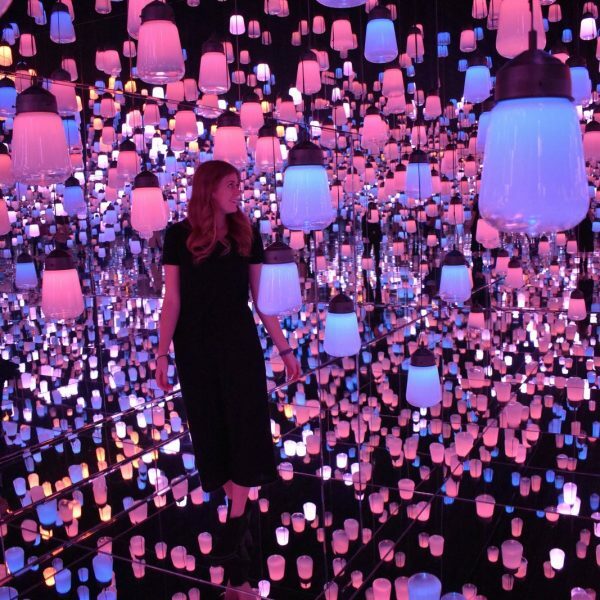 Side note: I spent three hours in line at the Broad Museum in L.A. to see one of her astounding “infinity rooms”. At the port, you hop on a polka-dotted shuttle that transports tourists to local attractions and to Bennesse House. Arriving at the hotel, you notice how subtly the architecture blends with the landscape. In November, vines of red were creeping across the concrete portal, while behind the building, kinetic sculptures by George Rickey (George Rickey’s Peristyle V 1963-95) dance above a pool that reflects the sea. When you walk into the lobby, you realize this is more than just a hotel. 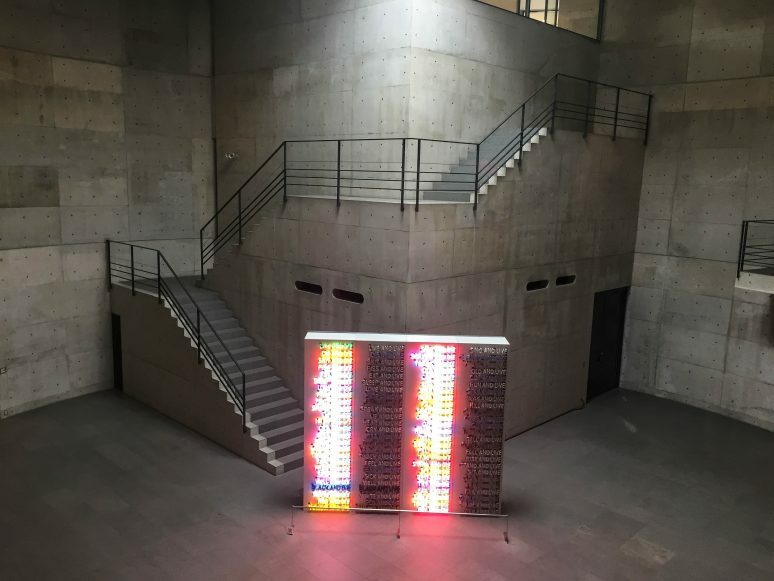 The smooth, cool concrete walls curve around halls filled with shifting light from a neon work by Bruce Nauman. You’re checking in to a museum! Open to the public during the day, but it’s your private museum at night, where you can walk among the galleries in your pajamas. Fukutake’s collection inside Bennesse House includes impressive pieces by Andy Warhol, David Hockney, Louise Nevelson, Hiroshi Sugimoto, Yves Klein, and Basquiat to name a few. The surrounding property looking out over the beach beckons you to wander past monumental installations by more artists like Walter de Maria, Niki de Saint Phalle, and Kazuo Katase. 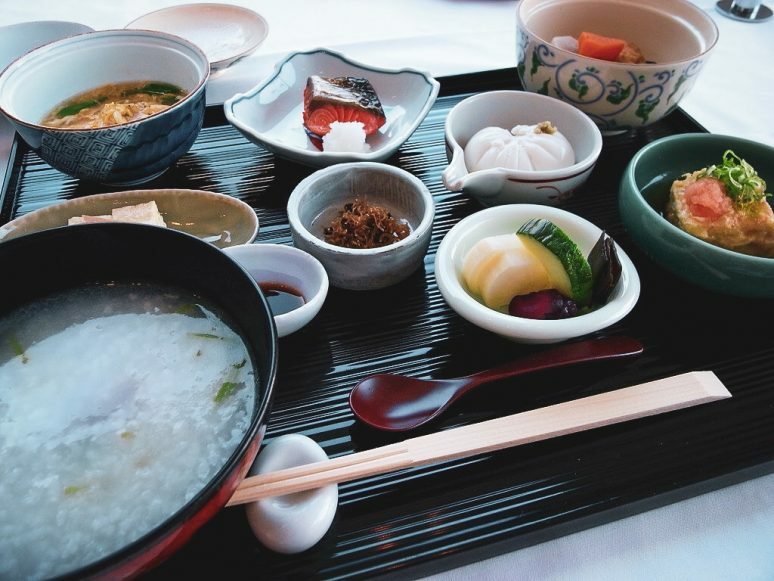 Before exploring the rest of the island, I was delighted by the vegetarian Japanese breakfast at the Museum Restaurant Issen – opening each delicate dish as if it were my birthday. 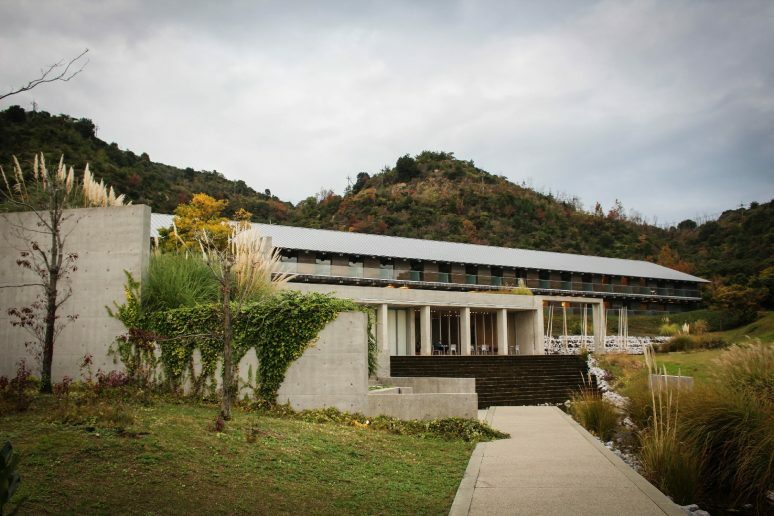 We spent two days on Naoshima and also loved dinner at the Bennesse House Terrace Restaurant – another exquisite meal. While walking through the Honmura district, we saw several cute café options for lunch. Cafe Konnichiwa looked welcoming – especially with a bohemian merengue band playing on the patio. But we opted for the quieter Cafe Salon Nakaoku with tatami seating and curried comfort food. We also passed up the local cat café called Nyaoshima (as in meow-shima) which was colorful but closed that day. Our next mission was to tour the Art House Project which started in 1998 as a way to revitalize a town that was losing its population as young people moved to big cities. Abandoned houses and buildings were preserved by turning them over to contemporary artists and architects from Japan and beyond. In functional Japanese fashion, there is a passport system that visitors can use to mark off each art house they visit. Photographs are mostly forbidden to help guard the secrecy of what’s inside. One site called Minamidera holds artist James Turrell’s piece “Backside of the Moon”, which plays with your perception of light. Get there early to get a timed ticket for entry. 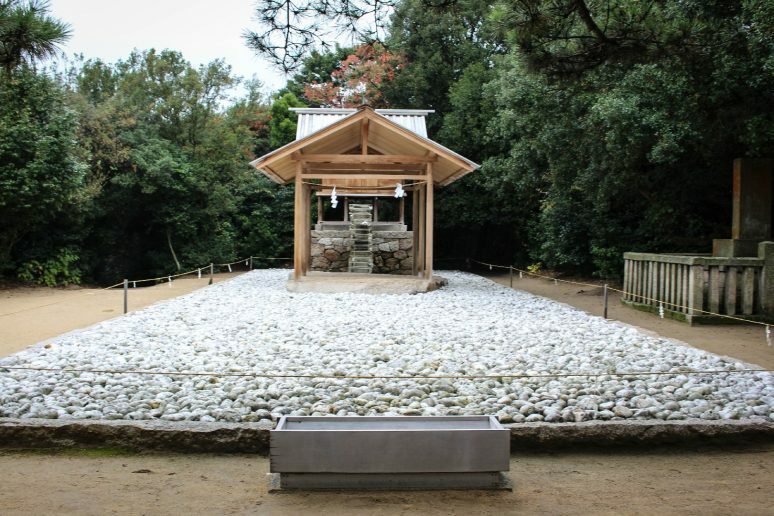 Climb the hill to the Go’o Shrine by Hiroshi Sugimoto to see a glass staircase that leads to a tight underground chamber representing the relationship between heaven and earth. There are seven art house locations which are easy to find due to the docents standing out front. Crowds were minimal, so it was possible to spend time immersing ourselves in the installation and the mellow atmosphere of the town. For one last artful discovery, we rode the polka-dot shuttle to the Chichu Museum, part of the Bennesse complex also designed by Tadao Ando. As we approached through the beautiful meandering garden, we were greeted by another polite docent who told us photography wasn’t allowed indoors. From the air, the museum disappears into the landscape, with only a few geometric shapes peeking through the green. Inside, you’re engulfed by austere concrete, hushed voices and staff dressed all in white. The collection consists of large immersive works by Walter de Maria and James Turrell (think of Drake’s “Hotline Bling” video) and a large white cube-room housing four Claude Monet Water-Lily paintings. You remove your shoes to wear slippers on the pure white tile floors and talking is discouraged. To some, this might seem like an extreme way to view art. But for once, it was nice to feel alone with the work without looking for the perfect selfie-angle. Although the underpinnings of Naoshima are quaint streets, gentle waves and meditative art experiences – the element of surprise is the most memorable takeaway. 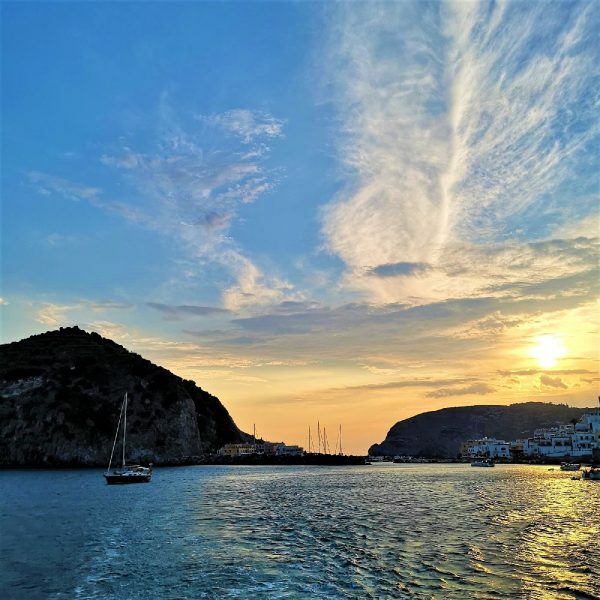 The opportunity to see a giant yellow dotted pumpkin hunched on a pier like it’s waiting for a friend; to skulk past a Robert Rauschenberg on your way to brush your teeth or listen to a Japanese merengue band on an island reminiscent of James Bond’s “Dr. 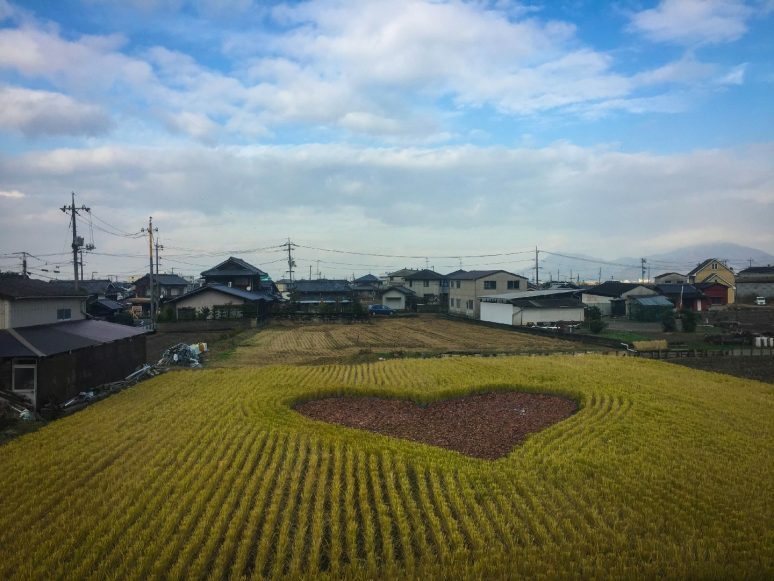 No” – these are the reasons to keep returning to the “art islands” of Japan. I hope you like surprises! Have you ever been to Japan? If you have any additional tips for our readers or questions please leave these in the comments below. Really enjoyed this art story. Went to Tokyo over 30 years ago for only three days, but still have fond memories of what I saw.